This Galentine's Day I treated my friends to a fun cookie decorating party. The party started with a brunch of mini croissants, strawberry scones, crustless quiche and fruit. 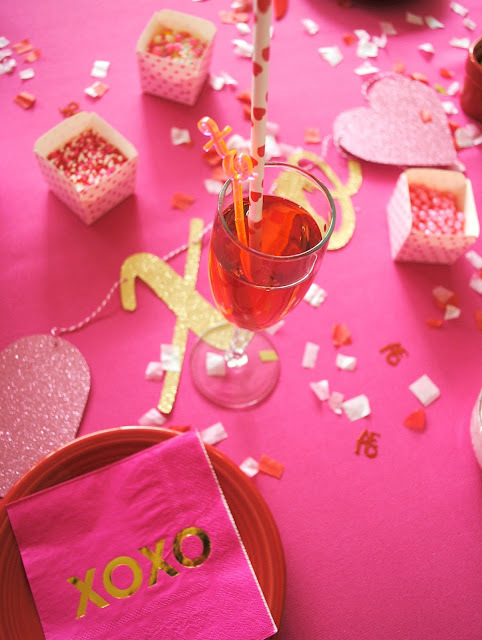 I went all Galentine's on the table decor this year. 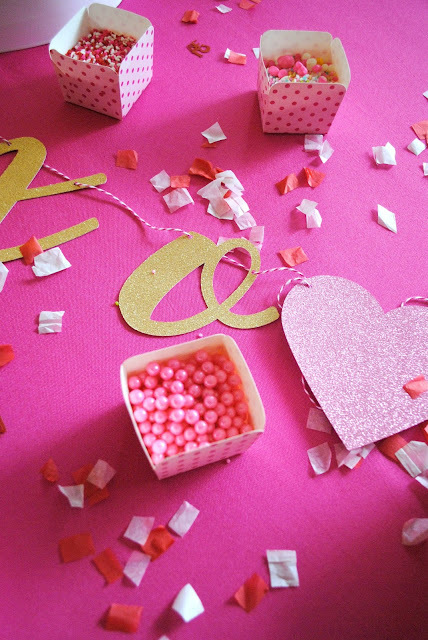 Pinks and hearts and confetti and glitter of course. 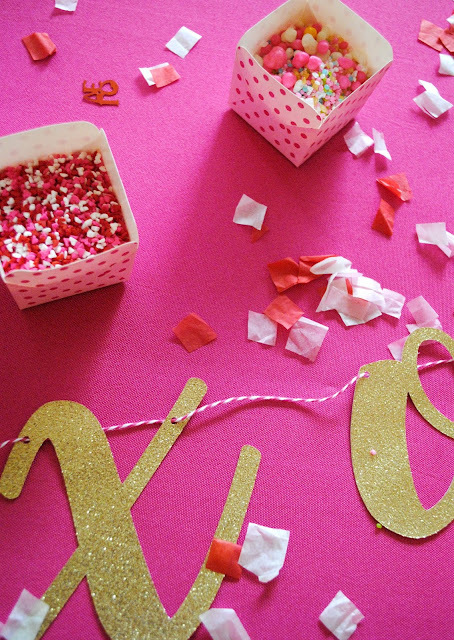 Can I even have a party without glitter!? I don't think so. It wouldn't be a cookie decorating party without sprinkles to decorate the cookies with. 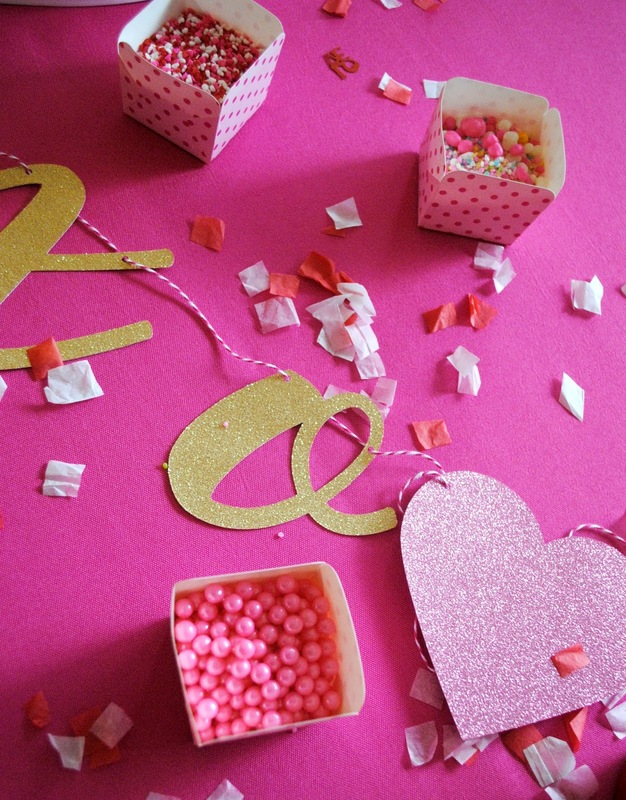 Candy hearts, pink pearls, gummy sour hearts and Candyfetti. 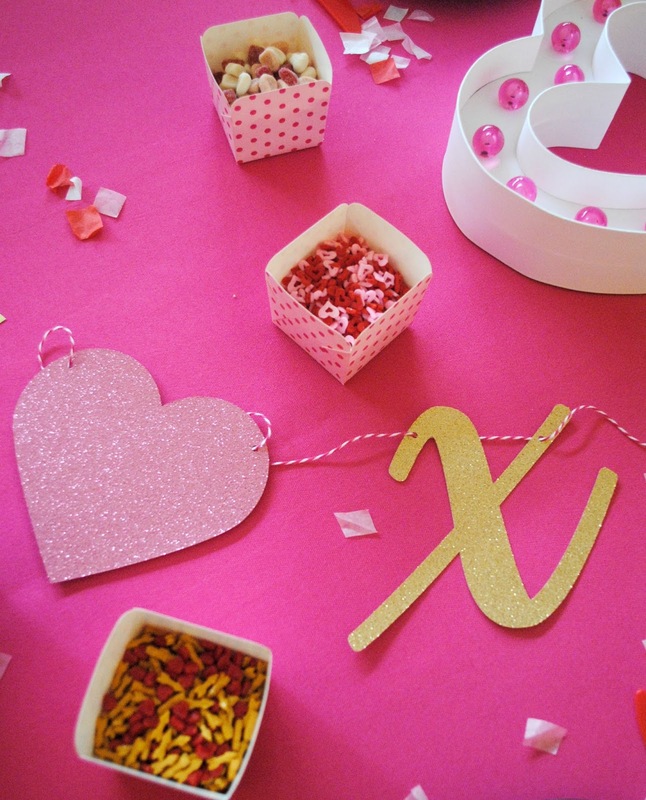 XOXO made an appearance through out the party in the form of garland, swizzle sticks, napkins and balloons. Because I love my friends. See the decorated cookies in the next post. 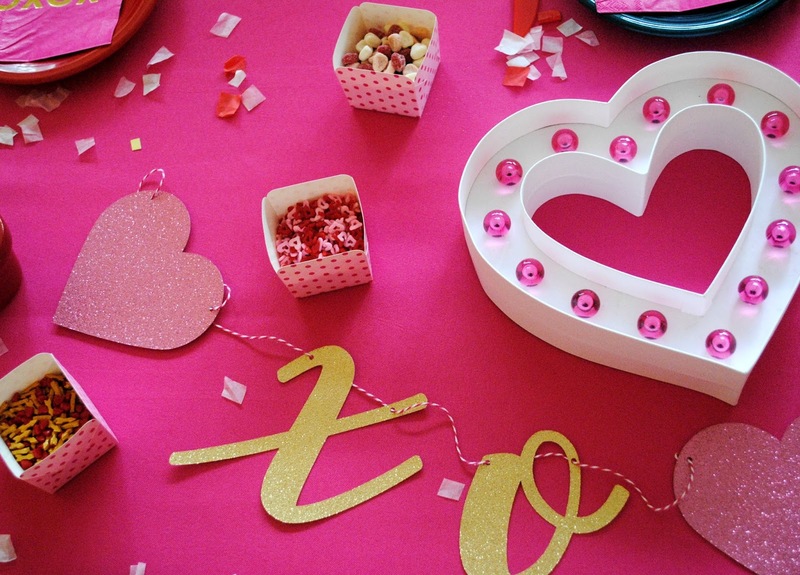 If you throw a cookie decorating party I'd love to hear about it. Pop on over here and leave me a comment or stop by the Facebook page and let's chat about your party. Awwww, Lr Jamison thank you!!! 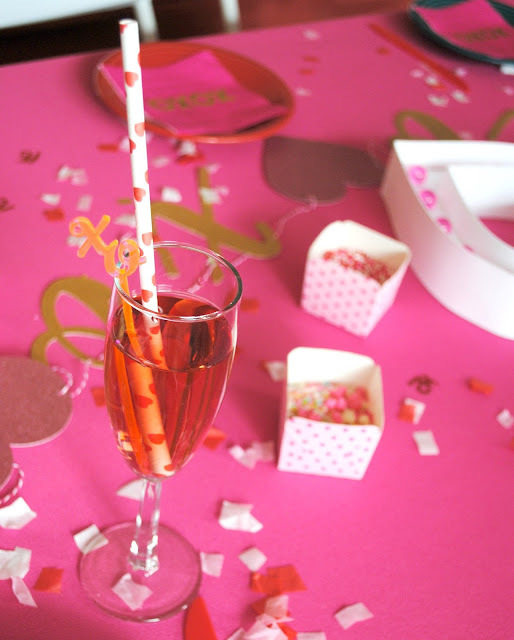 I love hosting parties and I wish I could invite you all to them. That would be one rockin party.